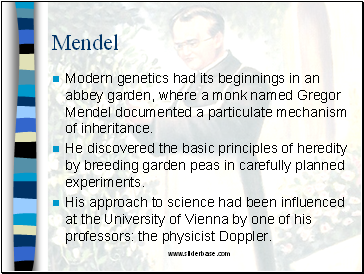 Modern genetics had its beginnings in an abbey garden, where a monk named Gregor Mendel documented a particulate mechanism of inheritance. He discovered the basic principles of heredity by breeding garden peas in carefully planned experiments. His approach to science had been influenced at the University of Vienna by one of his professors: the physicist Doppler. 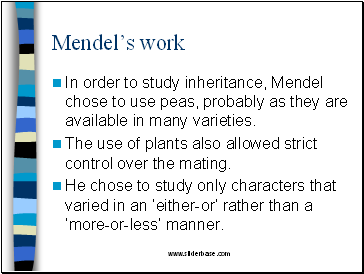 In order to study inheritance, Mendel chose to use peas, probably as they are available in many varieties. The use of plants also allowed strict control over the mating. He chose to study only characters that varied in an ‘either-or’ rather than a ‘more-or-less’ manner. 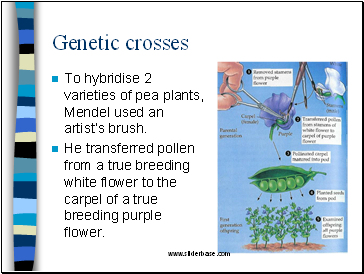 To hybridise 2 varieties of pea plants, Mendel used an artist’s brush. He transferred pollen from a true breeding white flower to the carpel of a true breeding purple flower. 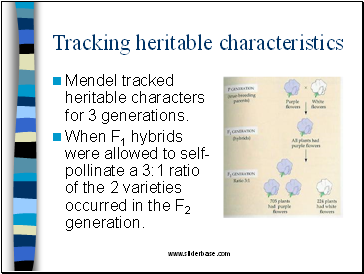 Mendel tracked heritable characters for 3 generations. When F1 hybrids were allowed to self-pollinate a 3:1 ratio of the 2 varieties occurred in the F2 generation. 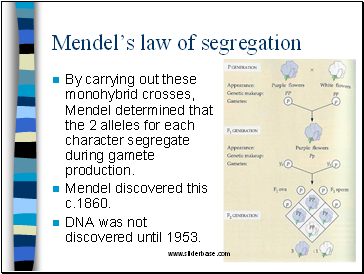 By carrying out these monohybrid crosses, Mendel determined that the 2 alleles for each character segregate during gamete production. DNA was not discovered until 1953. True breeding: When the plants self-pollinate, all their offspring are of the same variety. Hybridisation: Mating, or crossing, of two varieties. 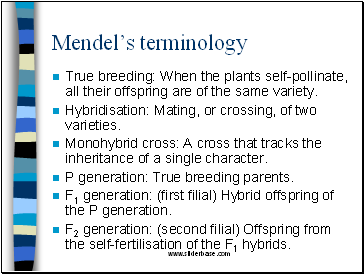 Monohybrid cross: A cross that tracks the inheritance of a single character. P generation: True breeding parents. F1 generation: (first filial) Hybrid offspring of the P generation. F2 generation: (second filial) Offspring from the self-fertilisation of the F1 hybrids. 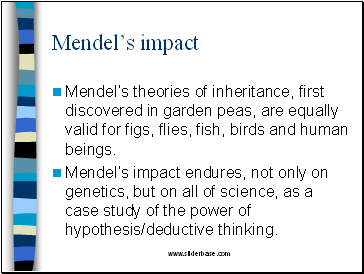 Mendel’s theories of inheritance, first discovered in garden peas, are equally valid for figs, flies, fish, birds and human beings. 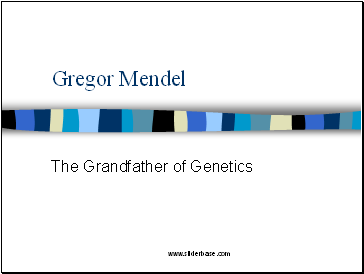 Mendel’s impact endures, not only on genetics, but on all of science, as a case study of the power of hypothesis/deductive thinking.